I decided I had to call this post “notable reads” of the year because I so rarely catch a book on the year it’s released, and “best of 2014” seemed to have a different connotation in my head. Without further ado, here are my standout reads of 2014. Code Name Verity, by Elizabeth Wein. I loved this book. And I really wasn’t sure when I started it that I would! By the end, it had pulled me in, heart and soul. It made a big splash the year it was published (2012), and Nancy Pearl recommended it as a best-of-the-year that year, so in all likelihood you’ve already heard about it, so I’ll be brief. It’s the story of an English spy captured by the Nazis in World War II — but really it’s a story about friendship, love and friendship. I cried so hard as I finished reading it that my pajama sleeves no longer sufficed as stand-ins for kleenex and I had to get out of bed (twice) for the real thing to mop up all my tears. (I can be real here about crying while reading in bed and the lengths to which I will go not to leave the warm cocoon, right?) It was the sort of book that, immediately upon finishing, I wanted to call a friend and cry about together. The Book Thief, by Marcus Zusak. I’ll be honest: unlike the rest of the world, I did not love this book. So why is it in my notable reads of 2014? It was a great story — it was a fresh perspective on World War II (told from a non-Nazi perspective inside Germany) — I’m not likely to forget it in a hurry. I started it in January. She told me who died. When I picked the book up again, quite literally the next page held the same information (who was going to die). I finished it on New Year’s Eve, shut in the bathroom at my parents’ house, holding tissues to my eyes. So, yes, this book essentially took me all year to read, off and on. My biggest objections were the writing style and the really heavy-handed foreshadowing (which somehow still didn’t prepare me for the ending — which was likely the author’s intent). More than anything else, the constant narratorial interjection of bullet lists (I tried to be clever and imitate it above) felt very “interrupted” and choppy. By the end, I’d decided it was its own kind of lyricism, but perhaps not exactly to my taste and better suited to an oratory style of storytelling than a written one. In spite of those small issues I had with the book: such a beautiful, sad story. 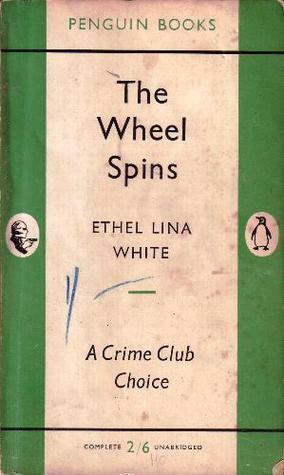 The Wheel Spins, by Ethel Lina White. Did you catch The Lady Vanishes on PBS a while back? This is the book that movie was based on, and it was every bit as stylish, and had every ounce of the period glamour and romance, and — what’s more — stronger characterization and excellent writing. I have great admiration for authors who can give a complete sense of character with just a few lines, like this: “Their formal bow, when Iris squeezed by them, was conditional recognition before the final fade-out. ‘We’ll speak to you during the journey,’ it seemed to say, ‘but at Victoria we become strangers. '” In case you aren’t familiar with the TV movie, this psychological thriller follows Iris, a young socialite, as she travels home from Europe to England on the train. She is helped by a kind stranger who suddenly disappears, leaving no trace and whom everyone denies having seen. Also on my list of notable reads for 2014 are Never Have I Ever, by Katie Heaney, and The Rook, by Daniel O’Malley. I’ve already talked about both of them, but they’re definitely worth checking out if they pique your interest. And now it’s your turn! What stands out from your 2014 reading? Please share! I’m always looking for books to add to my To-Be-Read pile! This entry was posted in Books, Reviews, and Reading and tagged best of the year, books, Elizabeth Wein, Ethel Lina White, Marcus Zusak, reading on January 10, 2015 by ms.grammarian. 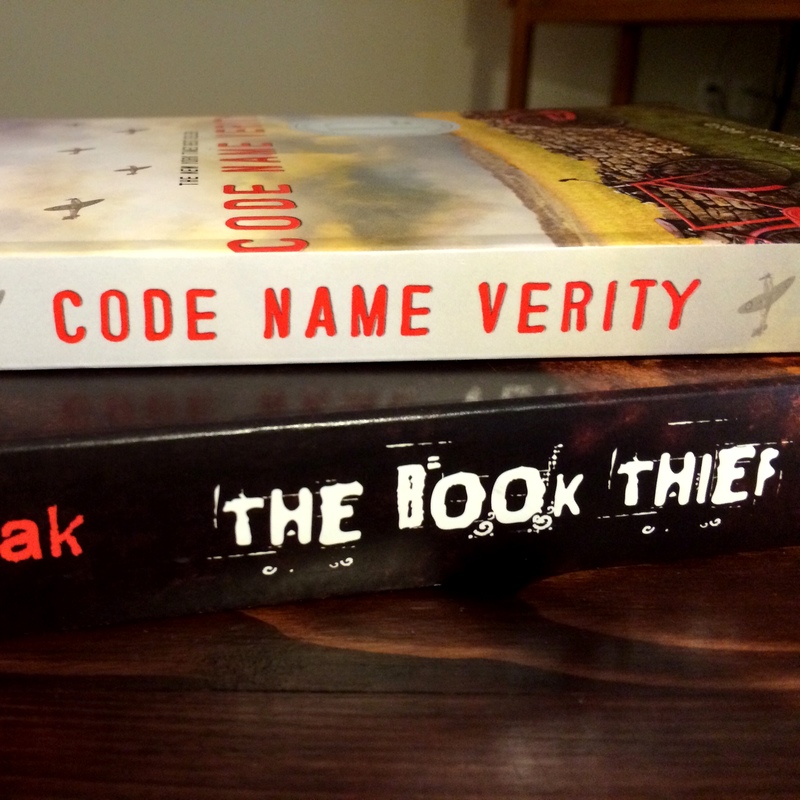 The Book Thief is on my TBR list this year. I’ll make sure I have tissues handy! I am often so late starting a book that it has disappeared from the library. That scares me. It also makes me look for and buy it.